Phil Young (杨智华) composes music in various forms, including symphonic, chamber, electronic, vocal, and film. His ability of fusing Chinese and western elements in his music enriches his originality. Mr. Young’s ballet music “Middle Kingdom Ancient China” for Ballet San Jose and the Chinese Performing Artists of America is one of many works well received by the audiences and the media. 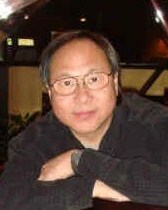 His works have been performed by Seattle Symphony, Ballet San Jose Silicon Valley Orchestra, San Jose Chamber Orchestra, South Bay Chamber Orchestra, San Francisco Conservatory Orchestra, Toledo International Youth Orchestra and internationally by Thuringer Symphony of Germany, Beijing Symphony of China ,Taiwan National Chinese Orchestra and Hong Kong Harp Chamber Music. His music for Violin and Piano “Reverie” has been selected to be included in the publication “A Century of Violin Works by Chinese Composers” by Shanghai Publishing Company. His commissioned piano solo piece “Reflection on a Tang Poem” was premiered by pianist Dr. Clara Yang in England (King’s College) and Spain (Mas i Mas in Barcelona) in Oct 2014. The music is included in Yang”s CD album “Folding Time” published by Albany Records and has been released world wide. The CD won the Global Music Awards gold medal and the “Best of 2016” of America Record Guide. It has been selected to be included in the publication “Selected Chinese Contemporary Piano Music” by China People’s Music Publishing House. A graduate of the San Francisco Conservatory of Music, Phil Young was granted a full scholarship to study composition with professor Elinor Armer. In 1985, Mr. Young won the Conservatory Composition Competition for his symphonic work ” Fantasy for Orchestra” which was then premiered at the Herbst Theater in San Francisco. The premier concert including an interview with the composer was broadcasted live by the KQED radio station. His composition for violin and piano “Lament” was selected as a finalist of the International Composition Competition “Citta di Udine” Italy 2014. His harp music “Suzhou River Fantasie” has been chosen as 2018 Fourth Hong Kong Harp International Competition Repertoire. Prior to his study at the San Francisco Conservatory, Phil Young studied with professor Luo Zhongrong in China and worked as a resident composer for the Symphony Orchestra of the Beijing Song and Dance Group (now known as the Beijing Symphony Orchestra). His ballet music “Sea Waves ” and “Fire Dance” written in the 80s for the renowned choreographer Jia Zuoguang won the Music Award at the China National Dance Competition, and “Sea Waves” has been included in the Dance Classics of the Chinese Nation in the 20th Century. Phil Young currently resides in the San Francisco Bay Area and has been involved with various local performing groups including as Music Director of the Chinese Performing Artists of America, Conductor of CPAA Youth Chamber Orchestra and resident composer of the California Chinese Youth Symphony.